So now OpenOffice.org has been donated to Apache, what now? OpenOffice.org is a real wildcard. One could potentially see Oracle leverage OOo against Microsoft, or perhaps they could pull a Novell and instead fork it into an independent stream and an Oracle branded product that could use groupware Oracle develops. The possibilities are extremely intriguing. Obviously I misjudged Larry Ellison's priorities. 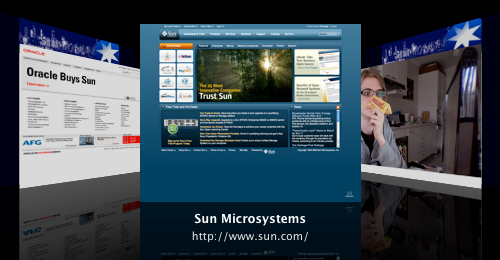 It's pretty clear now Oracle only really bought Sun for Java and Solaris. As I said on my post about Singapore's president, unsurprising though disappointing that they let OOo stall. The news of OOo donation wouldn't necessarily be interesting in and of itself, but last year many (possibly most) of the OOo team left Oracle after feeling unease in the direction and future of the project under new management, and formed the Document Foundation to develop their own fork in the form of LibreOffice (LO). LO has come a long way in these intervening months. The core applications have received cosmetic tweaks, and under the covers performance has been drastically improved. I speak from experience, my ThinkPad X40 could barely load the later versions of OOo, but LO not only runs but runs surprisingly fast. They deserve a huge amount of credit for this. Well it seems Ellison or the powers-that-be at Oracle called their bluff. Taking to hear their concerns about freedom, not only have they released OOo from their corporate control, but have gone one step further and released it to the Apache Foundation who's licence is more permissive than the GPL LO adopted. It's hard to see how this will pan out. While LO has most of the talent and has replaced OOo in bleeding edge distributions such as Fedora and Arch, I'd wager an overpriced licence for Microsoft Office that most large installation bases with more conservative CTOs are still on OOo. Ultimately what it'll come down to is how well New OOo is maintained, and whether they'll be able to capture back some of that lost mindshare. LO are already organising conferences, and have removed most of the OOo branding from their apps. Wait, I'd better say applications or Apple will sue me ;). I know I'll be sticking with LO for now; I philosophically prefer the Apache, BSD and MIT licences to the GPL, but they have the better product and some real momentum that has been lacking in this otherwise stagnant and uninteresting field of software. I use LO because it still offers the best compatibility with Microsoft Office files I have to use daily, and that includes KOffice, Google Docs and iWork. If you find the names LibreOffice and iPad funny at the same time, you’re an immature Australian or Kiwi. Heh, LibreOffice.